Anyone who has ever visited Dennis Severs’ House in Folgate St will recognise this spectacular chimneypiece in the bedroom with its idiosyncratic pediment designed to emulate the facade of Christ Church. 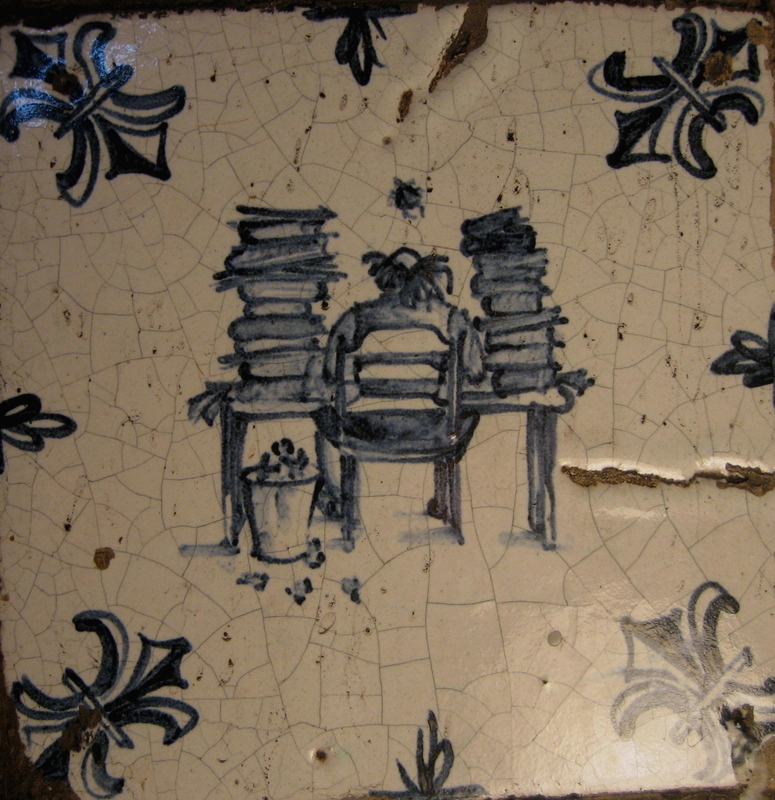 The fireplace itself is lined with an exquisite array of Delft tiles which you may have admired, but very few know that these tiles were made by craftsman Simon Pettet in 1985, when he was twenty years old and living in the house with Dennis Severs. 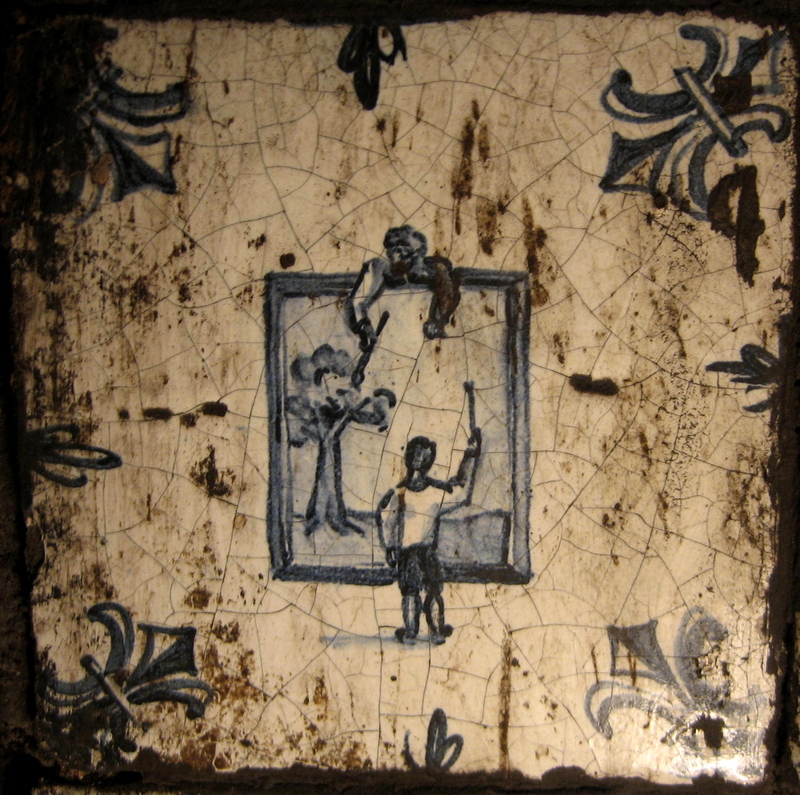 Simon was a gifted ceramicist who mastered the technique of tile-making with such expertise that he could create new Delft tiles in an authentic manner, which were almost indistinguishable from those manufactured in the seventeenth century. 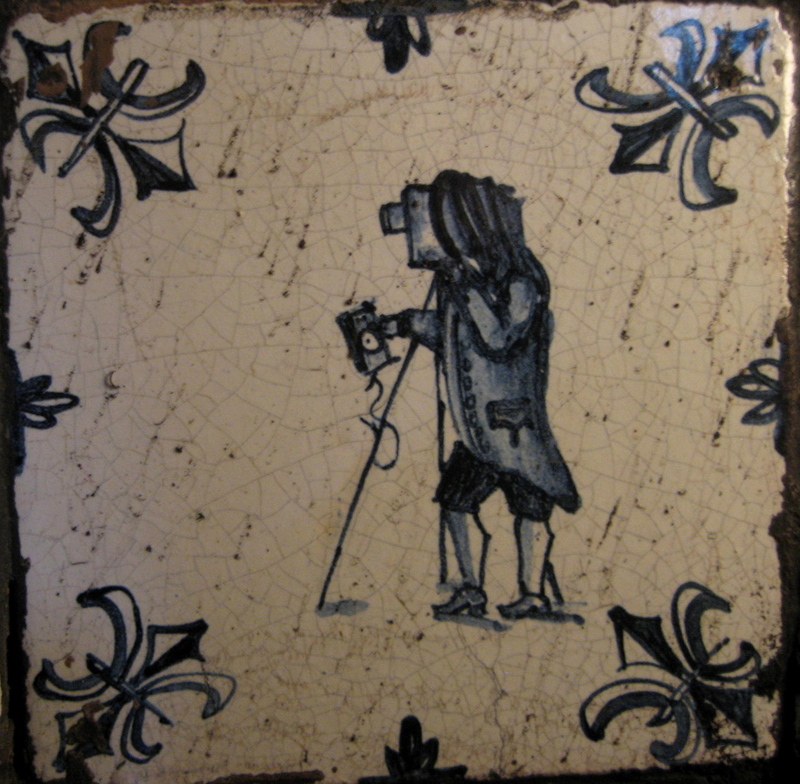 In his tiles for this fireplace, Simon made a leap of the imagination, creating a satirical gallery of familiar Spitalfields personalities from the nineteen-eighties. 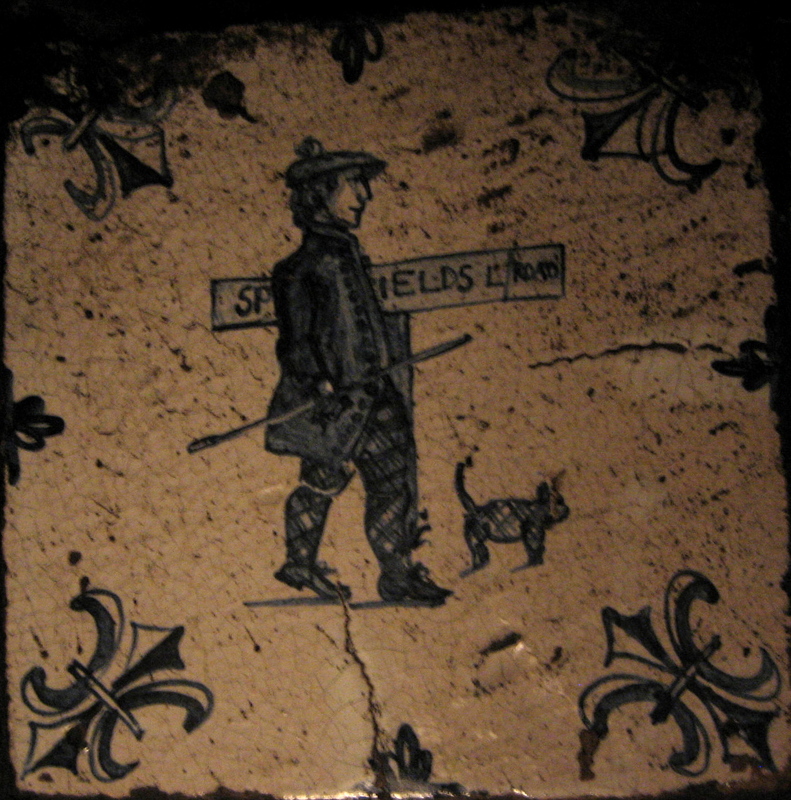 Today his splendid fireplace of tiles exists as a portrait of the neighbourhood at that time, though so discreetly done that, unless someone pointed it out to you, it is unlikely you would ever notice amongst all the overwhelming detail of Dennis Severs’ house. 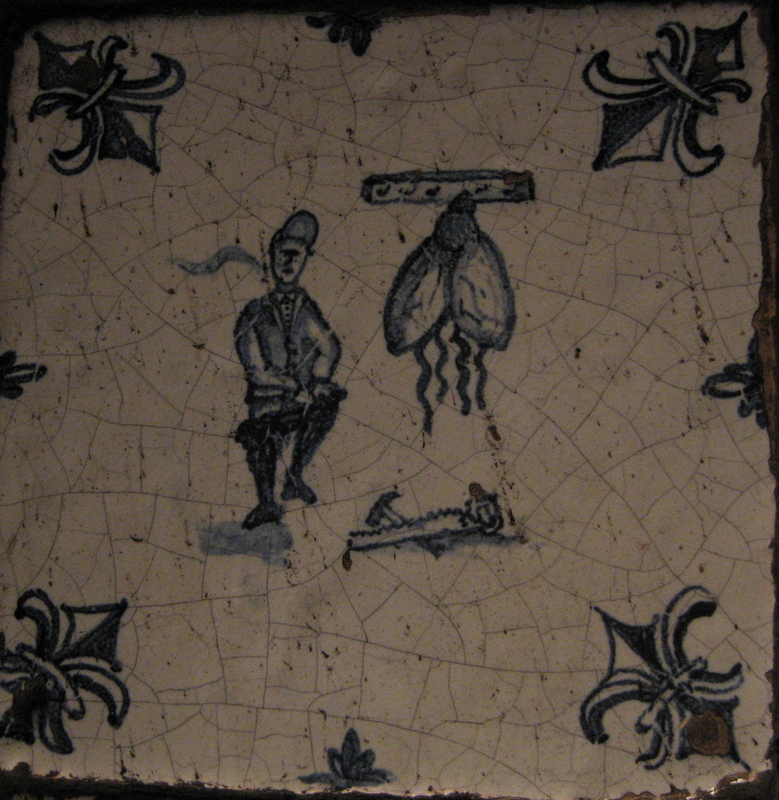 Simon Pettet died of Aids in 1993, eight years after completing the fireplace and just before his twenty-eighth birthday, and today his ceramics, especially this fireplace in Dennis Severs’ house, comprise a poignant memorial of a short but productive life. Simon’s death imparts an additional resonance to the humour of his work now, which is touching in the skill he expended to conceal his ingenious achievement. As with so much in these beautiful old buildings, we admire the workmanship without ever knowing the names of the craftsmen who were responsible, and Simon aspired to this worthy tradition of anonymous artisans in Spitalfields. 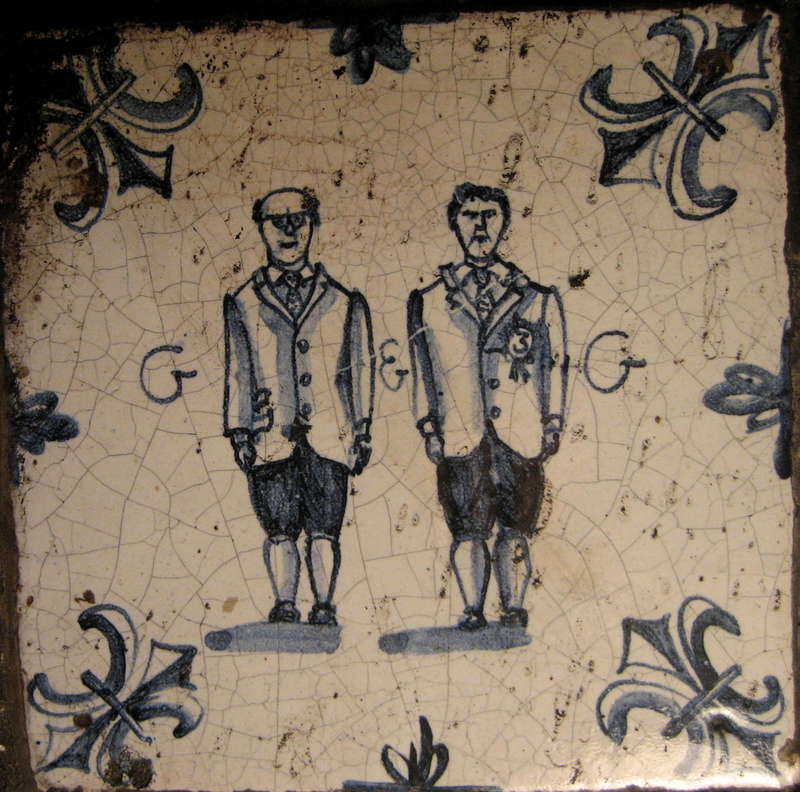 When I squatted down to peer into the fireplace, I could not help smiling to recognise Gilbert & George on the very first tile I saw – Simon had created instantly recognisable likenesses that also recalled Tenniel’s illustrations of Tweedledum & Tweedledee. 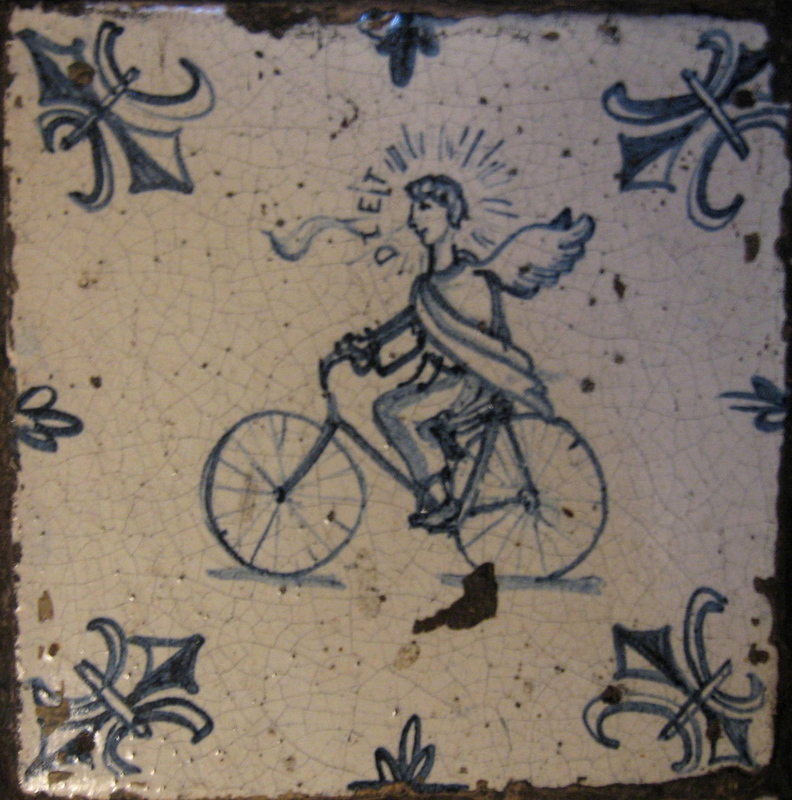 Most importantly, the spontaneity, colour, texture and sense of line were all exactly as you would expect of Delft tiles. Taking my camera and tripod in hand, I spent a couple of hours with my head in the fireplace before emerging sooty and triumphant with this selection of photographs. 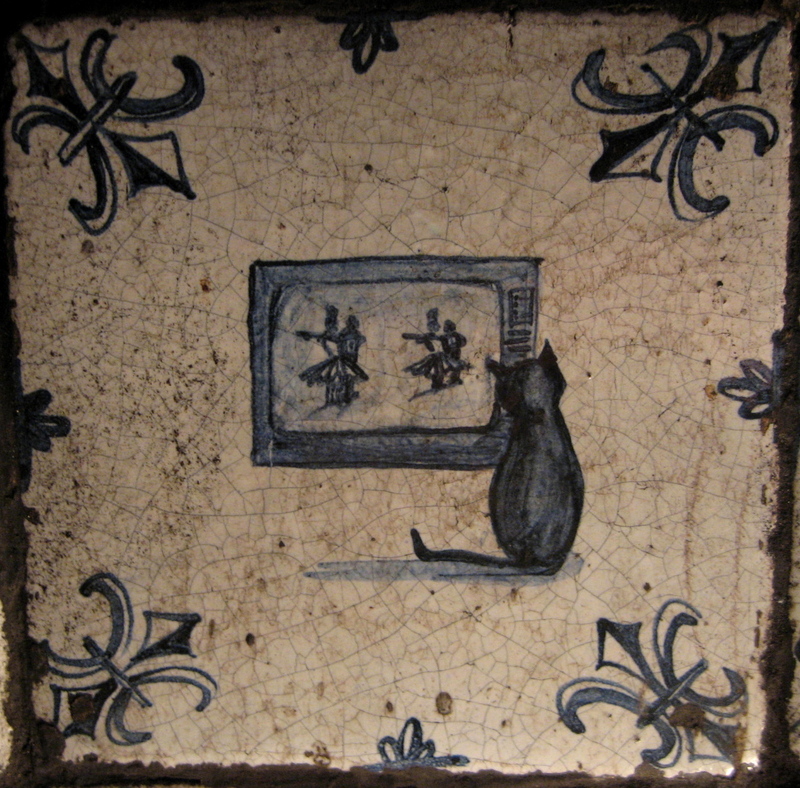 When I finished photographing all the tiles, I noticed one placed at the top right-hand side that was almost entirely hidden from the viewer by the wooden surround on the front of the fireplace. It was completely covered in soot too. 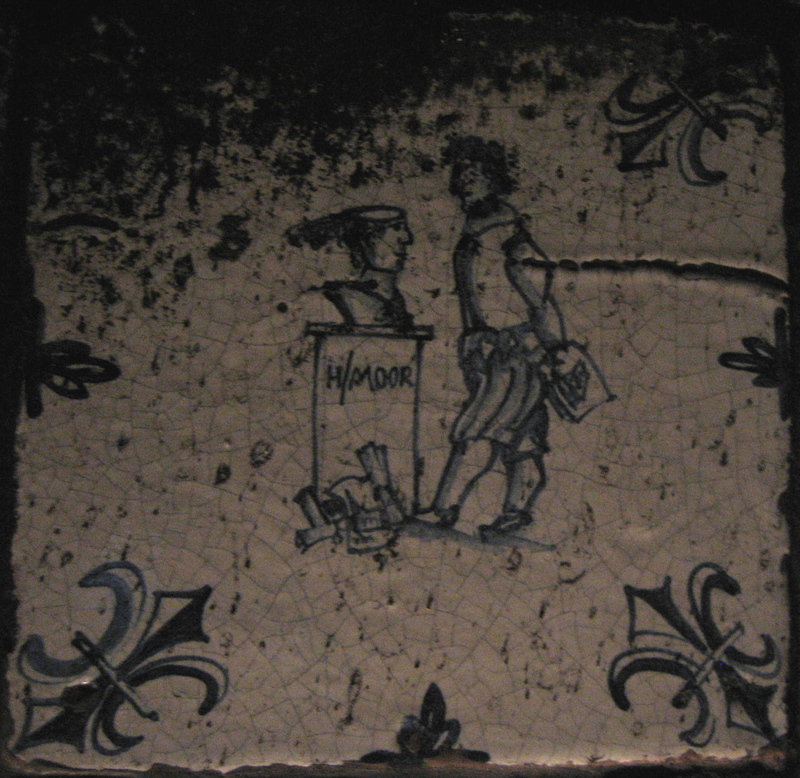 After I used a kitchen scourer to remove the grime, I discovered this most-discreetly placed tile was a portrait of Simon himself at work, making tiles. 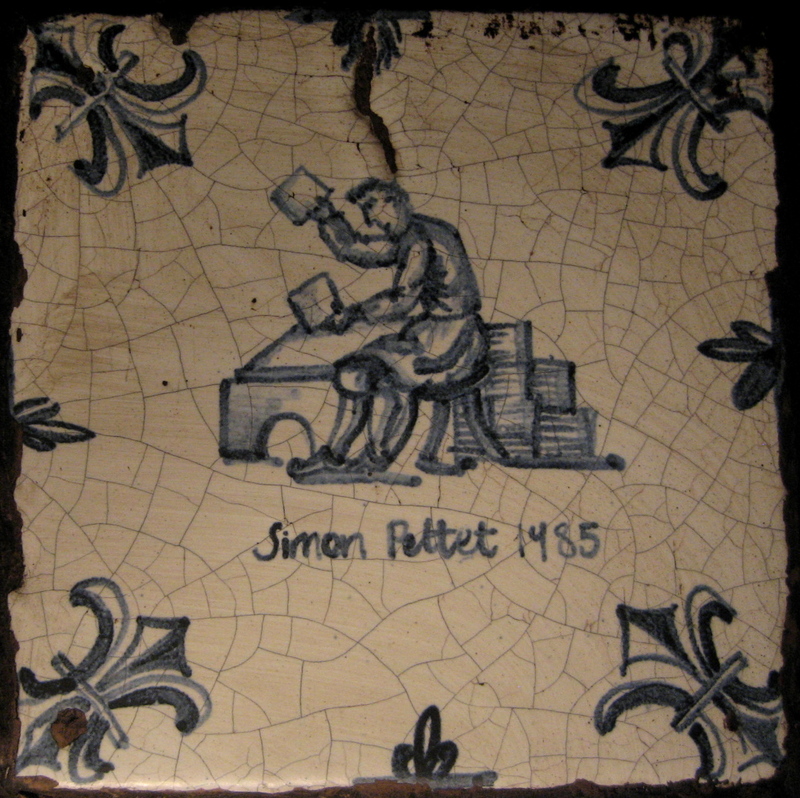 The modesty of the man was such that only someone who climbed into the fireplace, as I did, would ever find Simon’s own signature tile. 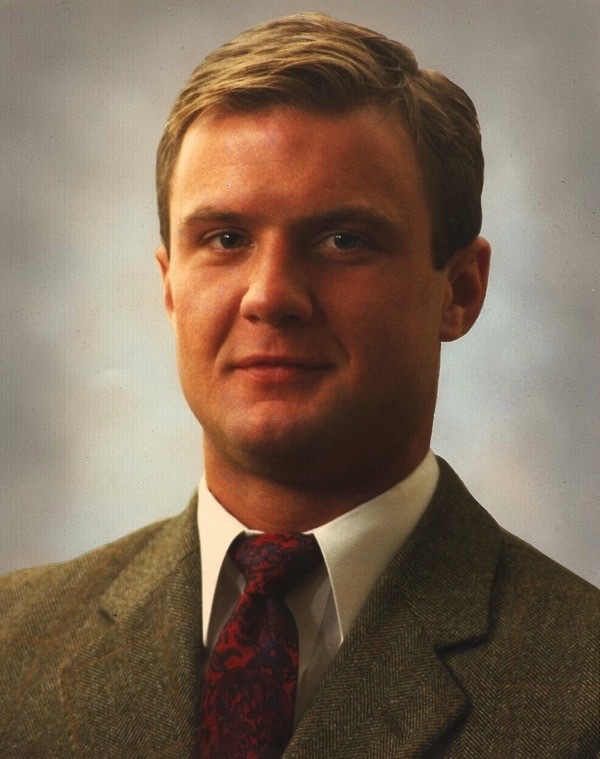 God bless the soul of Simon P I am sure he is surrounded by holy angels, humming his favorite tunes with his friends who are there. John B.
Cleverly subversive. It’s a reminder that not everything is what it seems! This brings back such fond and enduringly happy memories of my own Spitalfields years – living at 37 Fournier Street from 1983 to 1988. Dennis and Simon were great friends and I remember Simon’s fireplace with great affection and admiration. 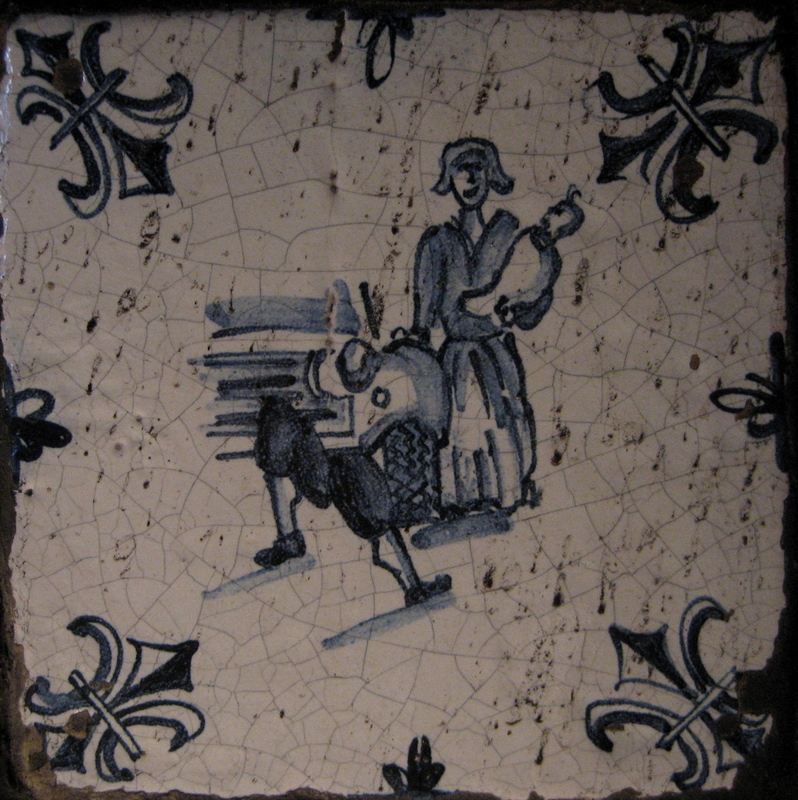 I am on a tile somewhere there, represented by the scales of justice [a professional reference] and a lyre [a reference to my enduring love of Greek music and song]. 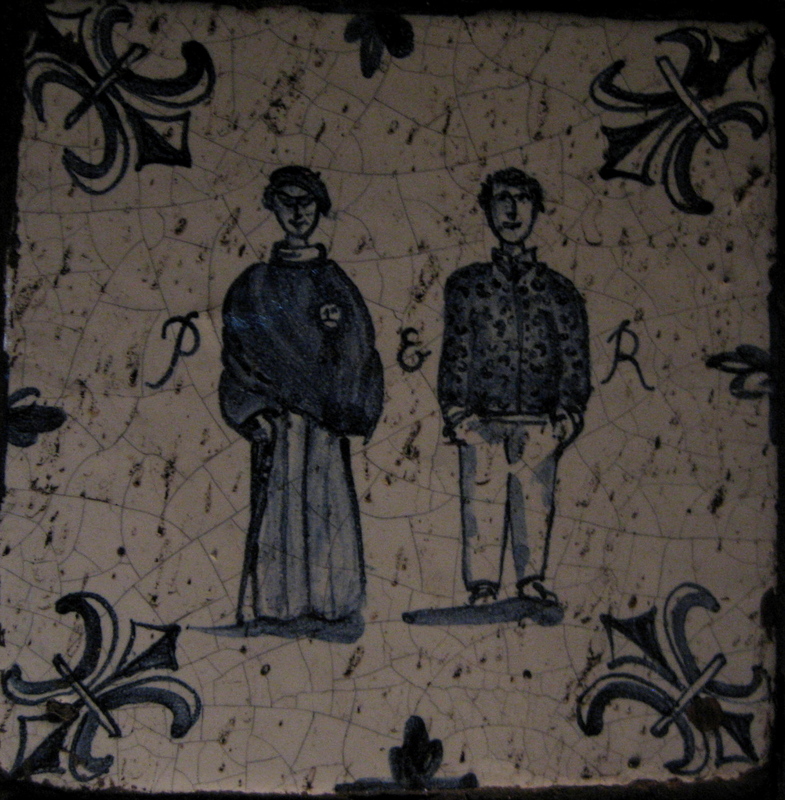 A lot of the other people mentioned in the article and / or depicted on the tiles shown were also good friends. There was always such a wonderful sense of community. That is such a lovely photograph of dear Simon, just as I always remember him. What a fantastic series, they are magical! What a lovely tribute to art and friendship and fun. Don’t wish to be a pedant, but you don’t actually die from AIDS, you die from Aids related conditions like pneumonia or Cancer. Anyway, that aside, I probably should actually visit this house the next time I get to London. It’s been on my list for several years, but never get around to it. Thanks for sharing. Thanks for bringing back memories of that magical house. I was overwhelmed with so much emotion when I visited. Truly a trip back in time. I am so grateful the house has been preserved with all its character and charm. 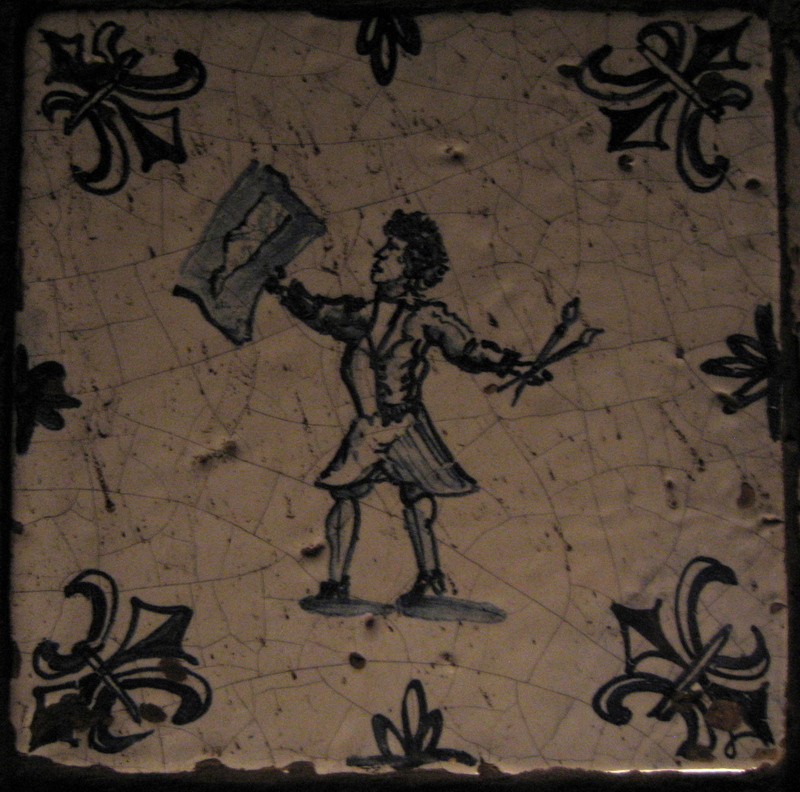 The tiles have an astounding likeness to 17th C. tin glazed tiles produced in Southwark and Lambeth. Apart from the subject matter, they are really difficult to tell them apart. 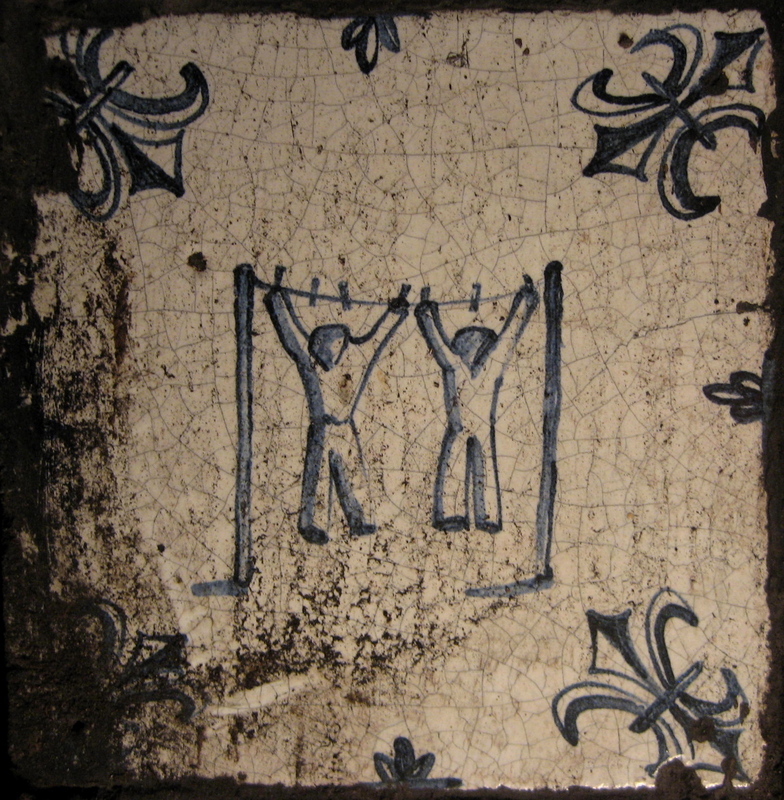 The super thing, as I understand, about painting on these tiles, that this no rubbing out and starting again. The fluid and organic results are what the tile painter put down first go, some used tracings but the final flair was free hand. These are utterly fabulous. These are fun, and what a lovely portrait of Simon, he looks so friendly and so kind. May he rest in peace after his tragic end. wit and comity live forever. thank you for this. 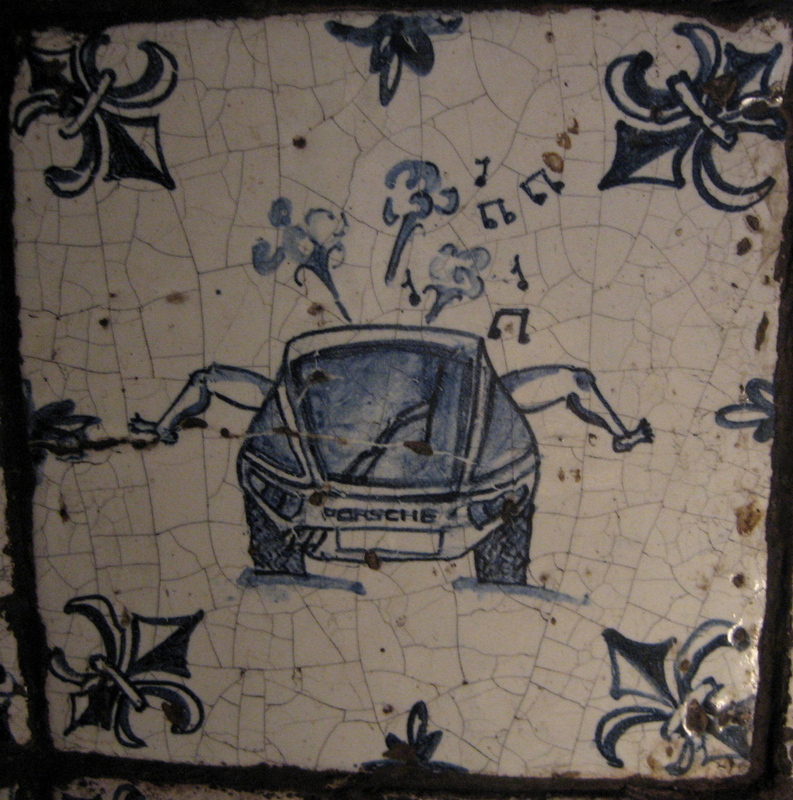 Would love to know more about this fireplace. 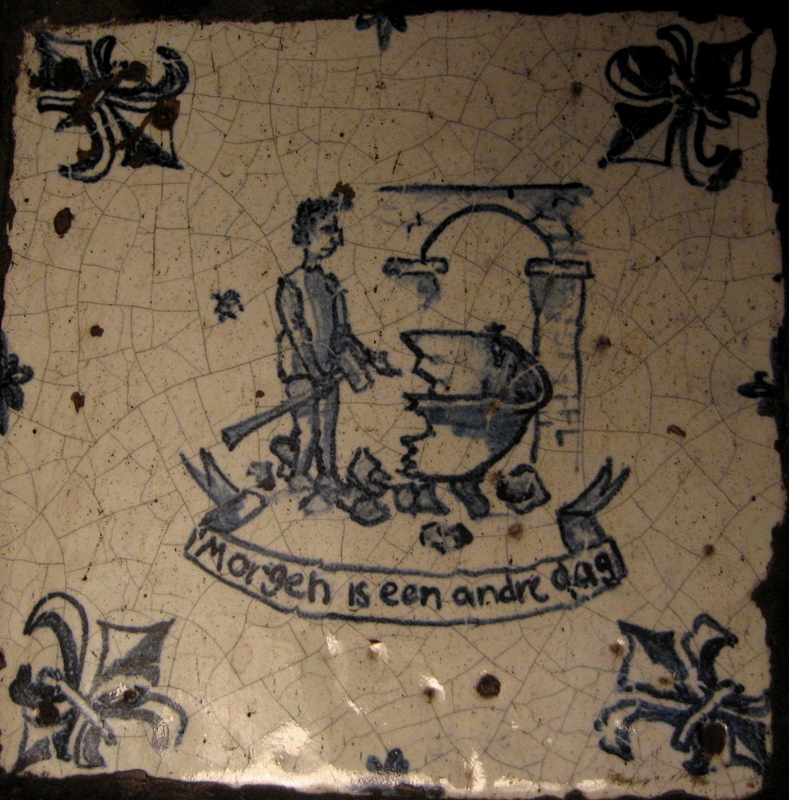 Does the “1635″ mean that it was created in that year (as opposed, perhaps, to the building of the house)? 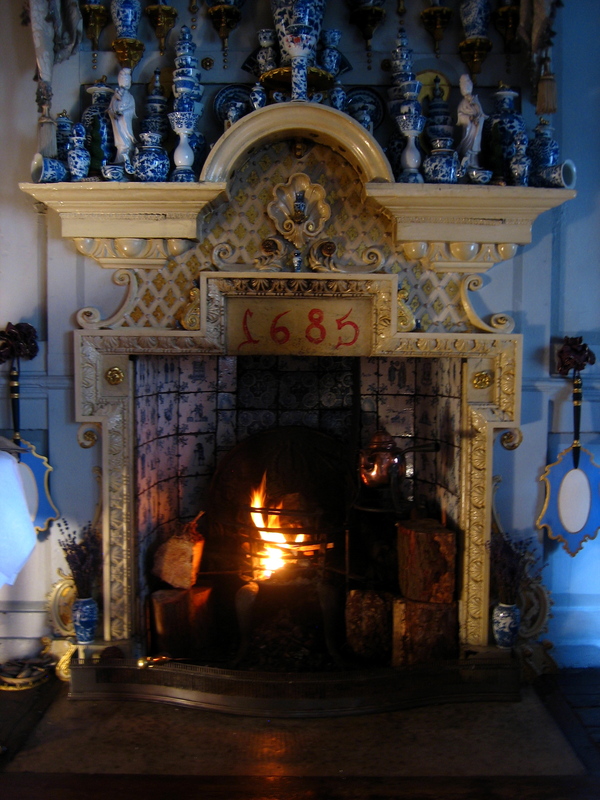 And was the fireplace created specifically for this house, or was it originally located elsewhere? 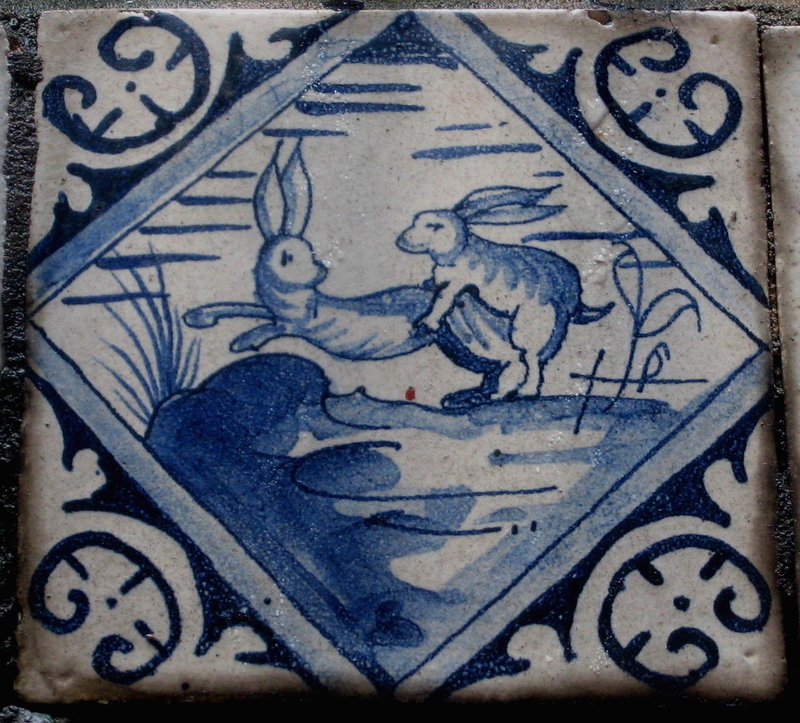 The Delft-like tiles are intriguing. So much work went into them that it’s almost a pity they’re positioned within the fire-place! So glad I had read this before visiting Dennis Severs’ house yesterday. Slightly embarrassed to stick my head into the fireplace with a lit fire.